A prospective client just asked you a technical question that you have no clue how to answer. It has taken two months to get this lead on the phone and the revenue potential keeps you up at night. What do you do? If a member of your customer success team had been in on the call, they would have been able to directly answer the client’s question and strengthen your pitch for another huge deal. Why didn’t you invite your customer success manager? Customer success is a new role in the software world that is continually bridging the gap between product and sales. Here are three reasons why you should have a customer success manager on every sales call. If you are selling software to IT admins, systems engineers, and procurement teams, you can bet that they are going to ask you obscure questions about integrations, security, storage, etc. because either they have had a bad experience along one of those lines, or they love to ask you any tech question that comes to mind since that’s what they write about in their personal journals. Either you can tell them, “you’ll get back to them,” or you can have your customer success team present to answer their questions and build trust for when they need help in the future. Any sales rep that has had a customer success rep on the call when a client has asked a technical question can give their testimony to that point. Having the expertise of a customer success manager on the call lets you focus on selling and upselling while still being confident that the product questions will be well taken care of. 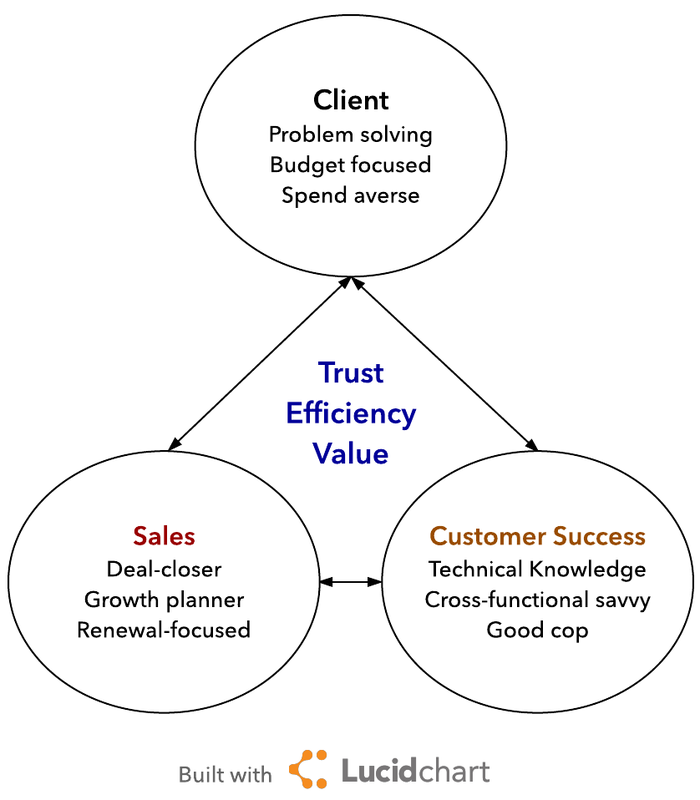 Customer success knows all the right people to get your client’s problems fixed. They are constantly in dialogue with product engineering, support, marketing, and sales, so they know whom they can count on to get a client’s problems fixed. Additionally, a solid customer success manager will always be looking to make customers happy, so they will be sure to resolve problems quickly. Both sales reps and clients who have discovered this trick get more done in less time. No one likes getting “sold.” Every interaction sales has with a client is engineered to bring up sales questions and can sometimes make clients feel claustrophobic and threatened. 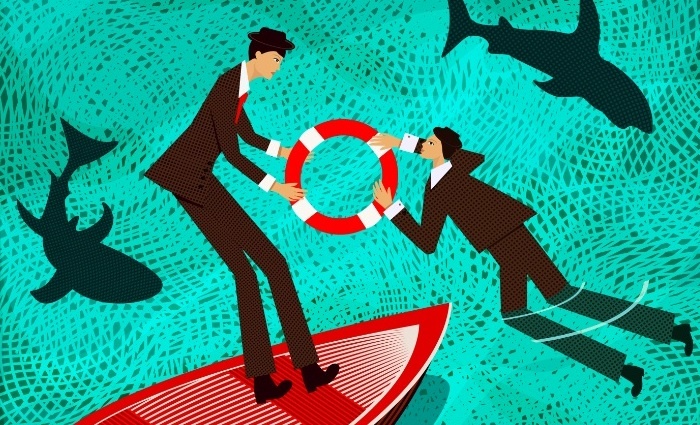 Customer success reps are the lifeboats in sales-infested waters. A client’s simple questions, integration help, and needed assistance for individual users can easily be resolved with someone who has more product expertise and is bent on overall satisfaction. Why wouldn’t you want to tag team a call with someone who is compensated for building rapport, trust, and user engagement? It tempers the sales heat and allows you to get the customer talking, which will help you understand how to connect the value of different SKUs and features to client needs. Some sales reps claim they don’t schedule any call without a customer success rep, and it’s easy to see why. With the pressure of hitting quotas, giving impetuous customers what they want, and dedicating as much time as possible to selling, having an effective customer success manager on every call can be a game changer that helps you accomplish all three and more.